We woke up on our last morning in Iceland (or maybe not, who knows). The weather forecast was correct: a big snowstorm hit the whole country. Half of the island’s roads were closed, so we didn’t have another choice but to stay in Reykjavík and enjoy the city. Although it’s not easy to appreciate it on the images, walking through the snow with a lot of wind was a little bit complicated and maybe not the best idea. But anyway, it was our last day in Iceland and we wanted to visit the city with daylight. After walking (or trying to walk) through Laugavegur, we arrived to Reykjavík’s City Hall. We walked a bit around Lake Tjörnin and we took some pictures of the swans and the birds. A little bit later, we could not resist the cold and we entered into the City Hall to enjoy a huge model of the country and observe the geography of the island. It was time to have lunch, so we went to our favorite restaurant in the city: SmakkBarinn. In our first night in Iceland, we went to this restaurant recommended by a local. 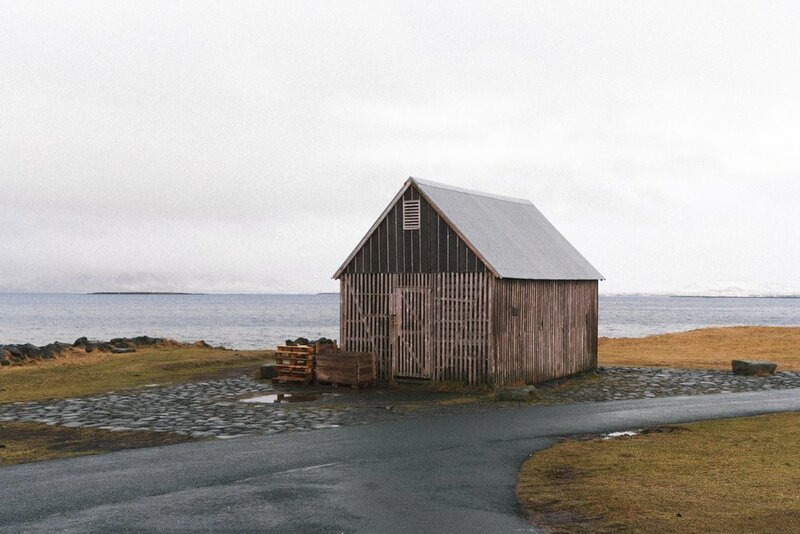 It was quite affordable (based on Icelandic prices) so we wanted to repeat the experience. After lunch, we decided to walk a little bit more and visit the Harpa area. As I’ve said on the post Iceland 5. 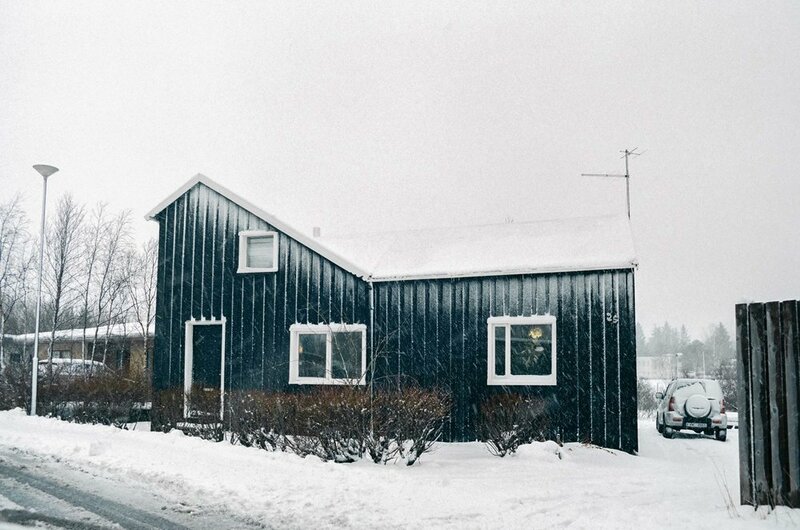 Walking on a glacier, I became obsessed with houses and farms. 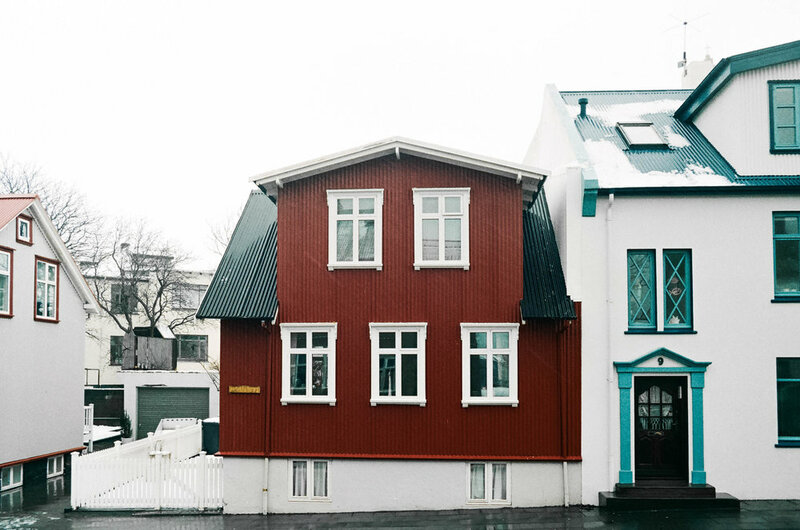 So, it couldn’t be otherwise: Reykjavík was the perfect spot to take pictures of colorful houses. We said goodbye to the city after spending some time walking through the harbor. We said goodbye to the city after spending some time walking through the harbor. The weather was quite better, the roads started to clear, so it was time to take our car and head to Keflavik’s airport. The weather was quite better, the roads started to clear, so it was time to take our car and head to Keflavik’s airport. Before that, we stayed a while near the Grótta island Lighthouse observing the landscape and saying goodbye to the city. Once we arrived at the airport, we were informed that our flight was canceled due to the weather conditions. We were confused because the airport was closed during the morning, but not during the afternoon. Besides, the only flight that was canceled was our flight, the others were delayed but the airport worked with normality. So, that was the situation: We were at the airport with no car, and we needed to spend the night in Iceland. The next day and a half was a nightmare but finally, more than 24 hours later, we caught our flight back to Barcelona. Once we were on the plane, we noticed that there was a green light entering through the window: Northern Lights again. Although we were very tired, all the nightmare at the airport was worth it, because we flew almost 2 hours seeing the auroras. Having said that, our journey through Iceland finished, and it couldn’t finish in a better way. So, glad to meet you Iceland, I know we’ll meet again soon.